The Purge series of movies is seen as somewhat of a cult endeavour despite now approaching its fourth instalment and despite generally being something of a success, at least critically, with its core audience. 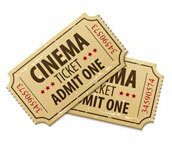 These movies are, on the face of things, rather niche – the concept alone will likely appeal to a certain type of movie-goer, though it has been deftly handled varyingly across the opening trilogy. While many expected the fourth Purge movie to develop upon the cliff-hanger ending of sorts that Purge: Election Year left us with, director Gerard McMurray has instead decided to take us in a slightly different direction – back to the beginning, to show where the annual madness first started. 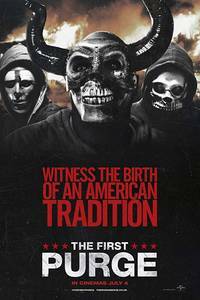 For those completely uninitiated, the Purge series surrounds one night a year across the US where crime becomes legal – in all its forms – meaning that, essentially, human nature’s ‘true’ self is revealed for just a few hours each year. The previous movies have given us snapshots of what people will do when crime is eradicated – not just murder, but ritualistic killing – and even torture – have been detailed on-screen, variously, meaning that these aren’t especially the most pleasant of pictures to be watching if you don’t already have much faith in humanity. This instalment, as mentioned, takes place ahead of the trilogy we’ve already seen – meaning that we’re at last given a bit more of a back story to work with. As a group of white elitists engage a societal experiment – the one described above – in order to bring crime below 1% for the remaining year, a trial area in Staten Island faces up to its first-ever Purge. While getting rid of aggression may be key here, there’s less control involved than anticipated – as things go from wild to messy very, very quickly. Prequels can often be shaky territory, but this series does rather suit one. We’ve seen in the previous instalments what the annual ‘Purge’ does to everyday people – and this time around, we’re treated to a backstory offering us a look at what possessed the government to set up the horrific night in the first place. The Purge series has quickly evolved from horror thriller into political horror over the past two instalments – particularly as this episode brings up prescient issues of race, ritualistic killing and more besides. While this instalment could have gone straight for the Trump jugular and could have put an expositional of our current President front and centre, the movie instead opts to throw down all of its barriers and offer a snapshot of America that, as these movies go on, is seeming less and less fantastical and more and more believable – as grotesque as that may seem. As with previous Purge movies, The First Purge draws up emotions unlike any other series I’ve experienced – it’s genuinely shocking in places, extremely well-acted and, for the most part, very entertaining. Where the movie does fall down lies in the multiple strands and plots which are going off all at one time – while the film attempts to retain its focus on holding a dark, grimy mirror up to society. “This is what you’re capable of,” the movie suggests – all the while criticising the current system in place in the US – though it struggles to retain its status as an all-out thriller at the same time. The Purge movies are at their best when they are unnerving, quietly satirical, and knowingly over-the-top. All of these elements are here – but not necessarily in the order or quantities that add up to a successful film. The First Purge is a great fit for the series, nonetheless – it’s a prequel no one really expected, but it is always a welcome fixture in the cinema, at least in my book. These movies are perhaps a little too heavy-handed for a wider mainstream, as they do provide a grim challenge for anyone willing to suspend belief – and denial – for an hour or so. This is a movie which – while abundant in action and dark, dismal scenes – may not appeal to your average all-out dystopian action buff. It’s an interesting study of characters and character motivations which, with a little more focus on one particular plot strand as opposed to several – and with perhaps a little more focus given to the message that is being conveyed – could have been fantastic. As such, it’s an entertaining film that fits in well with the other Purge movies – disturbing, intriguing, unafraid – if you liked the others, you’ll find this one a worthwhile watch. With a few changes to script and direction, this could have broken new ground – as such, while it doesn’t really ‘play it safe’ per se, it certainly does so by Purge series standards.